Everyone expected Dell to revamp the 15-inch XPS flagship and the company has delivered in spades. 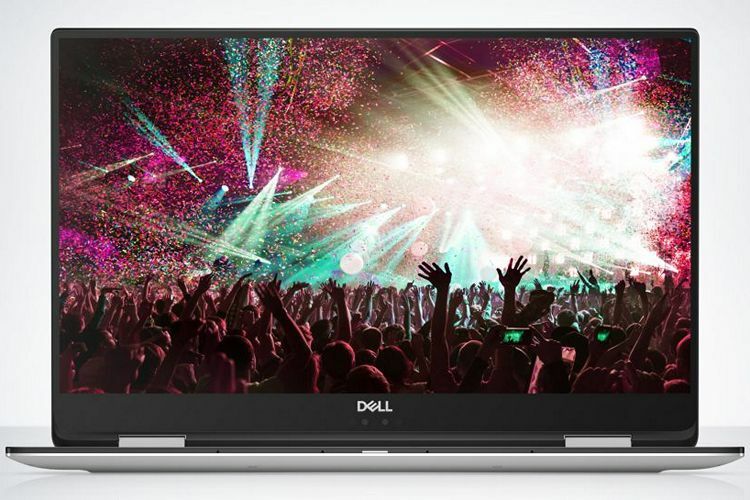 At the ongoing CES 2018, Dell announced a bunch of new products that include the ‘Always-on’ Inspiron 5280, as well as the next-gen XPS 13 lineup. The company also demoed the ‘Mobile Connect‘ software that promises to connect the Windows PCs with iOS and Android devices. The Texas-based PC-maker also announced the expected all-new XPS 15 with a new convertible form factor. It boasts new processors and new graphics, a sleeker design, full-powered Thunderbolt 3 and a lot more to set it apart from last year’s model. Taking a look at the tech specs of the new XPS 15 lineup, the devices feature 15.6-inch InfinityEdge displays, but buyers will get to choose between FHD and 4K panels, although, both will be touch-enabled. All variants are powered by Intel’s 8th-generation Core-H CPUs featuring AMD’s Radeon RX Vega M graphics on-board along with HBM. The devices will come with up to 16GB of DDR4 RAM and up to 1TB of SSD storage. In terms of ports, the XPS 15 2-in-1 includes four USB-C ports, two of which support Thunderbolt 3 with full four-lane PCI-E support for up to 40Gb/s bandwidth. There’s also a microSD card reader and a headphone jack, along with Dell’s signature battery level indicator. One of the most interesting aspects of the latest XPS 15 is its ‘maglev’ keyboard that replaces the regular rubber cushions with magnetic forces that pops the keys right back up once the pressure is released. The latest XPS 15 2-in-1 range will go on sale this spring with the price starting at $1,300. 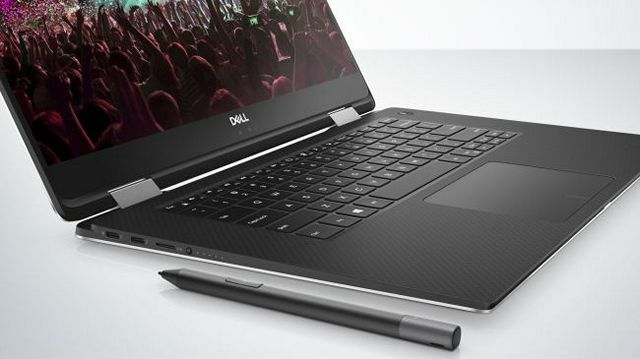 In addition, Dell has also announced a compatible stylus with 4,096 levels of pressure sensitivity and tilt functionality, but unlike HP’s latest Spectre 15 X360, it isn’t part of the default package. Buyers will have to pay an additional $99 to get their hands on it.